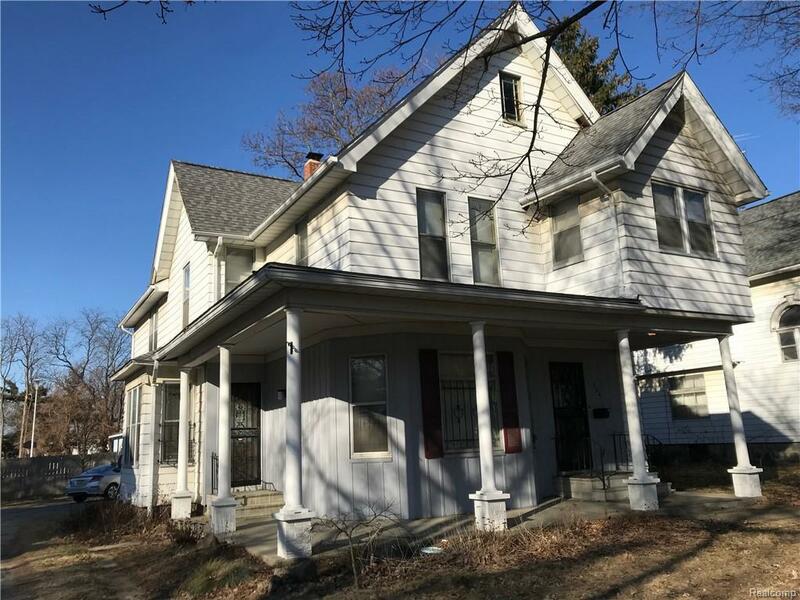 College/Cultural: Large Victorian home with grand entry, hardwood floors and natural wood trim in the living room, dining room and parlor/bedroom. Huge living and dining rooms! Home has possible eight bedrooms, four have closets and four have wardrobes. First floor laundry. Two furnaces have replaced the original boiler heat in the past 10 years. House roof has also been replaced, including decking in the past 10 years also. Home was renovated in the 1980&apos;s or 90&apos;s with drywall in most of the first floor rooms, refinished hardwood trim, new wiring and plumbing. Home was previously used as a duplex and also used as a student rental. Two car detached garage needs roof repair. Agent owned.